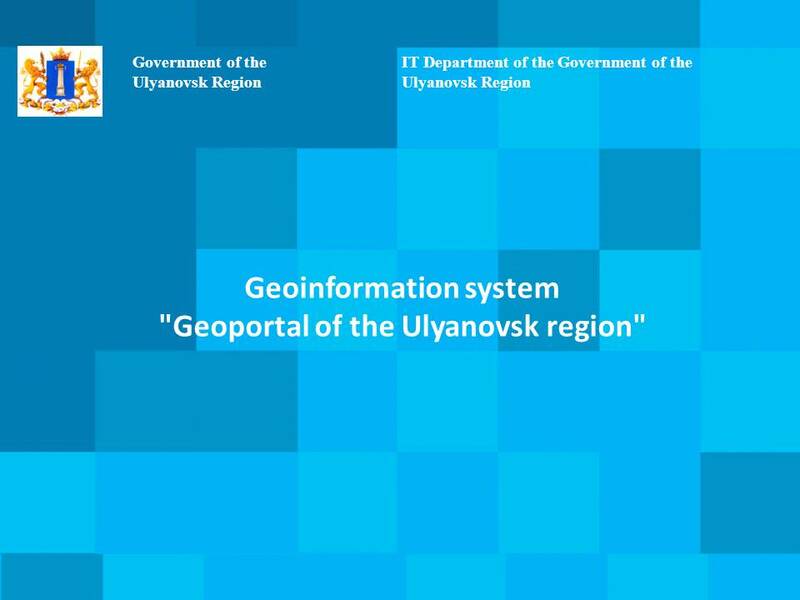 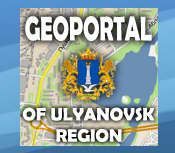 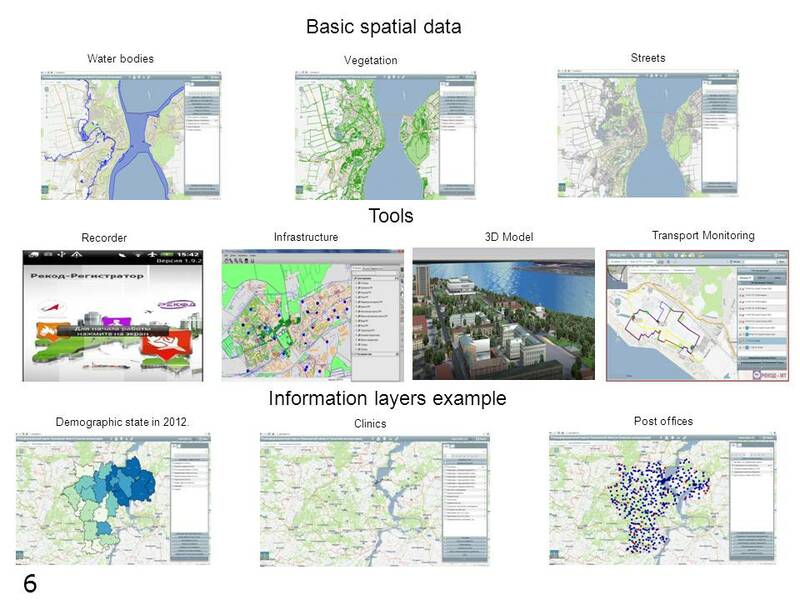 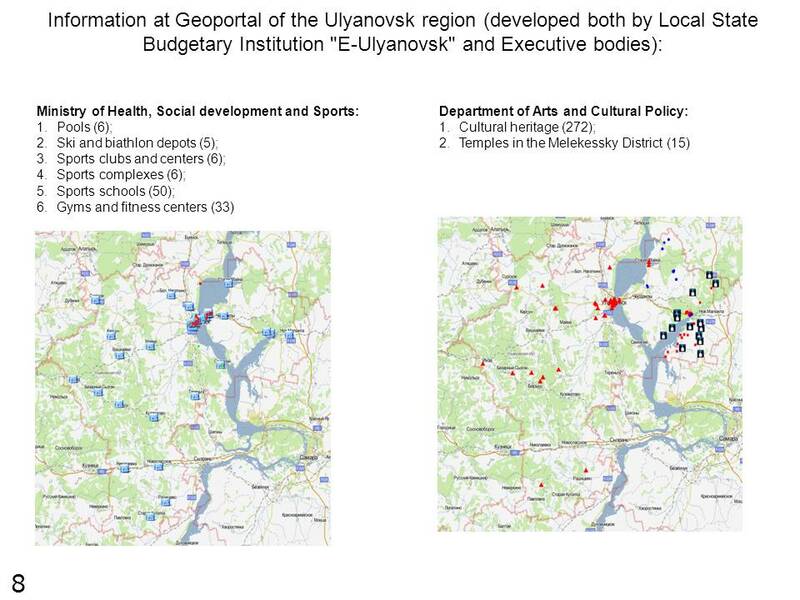 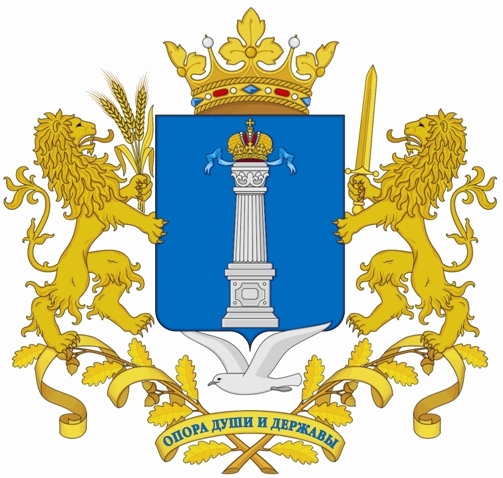 Information system "Geographic portal of the Ulyanovsk Region"
The system provides the whole technological process of cartography: data collection, representation, publication, printing and making reports. 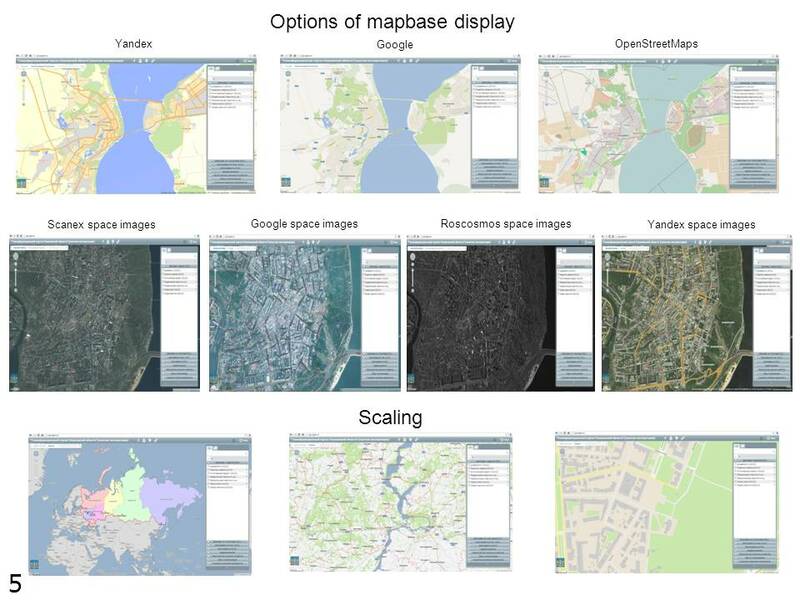 The navigation and tracking system is integrated with GPS and provides continuous movement control of various objects, displaying it on the edited map. 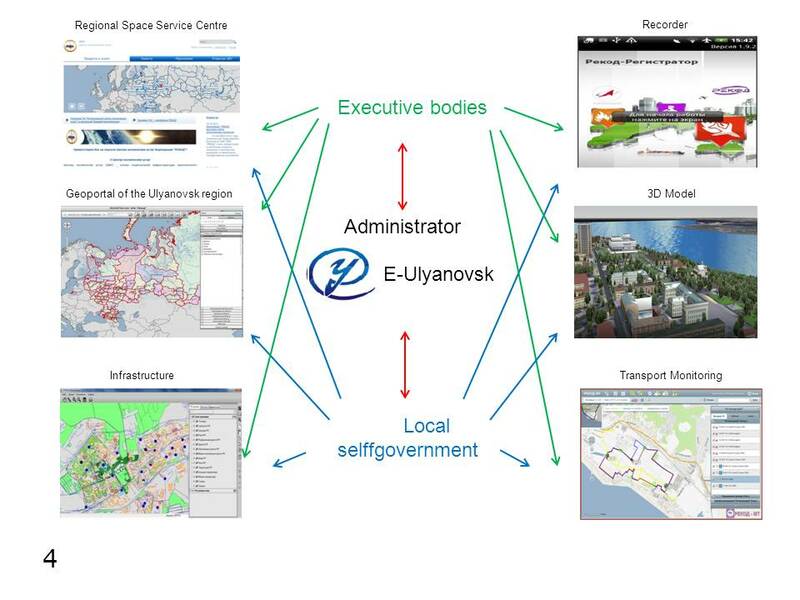 The single database of the geographic information system database provides fast data exchange between departments and easy access to any requested information. 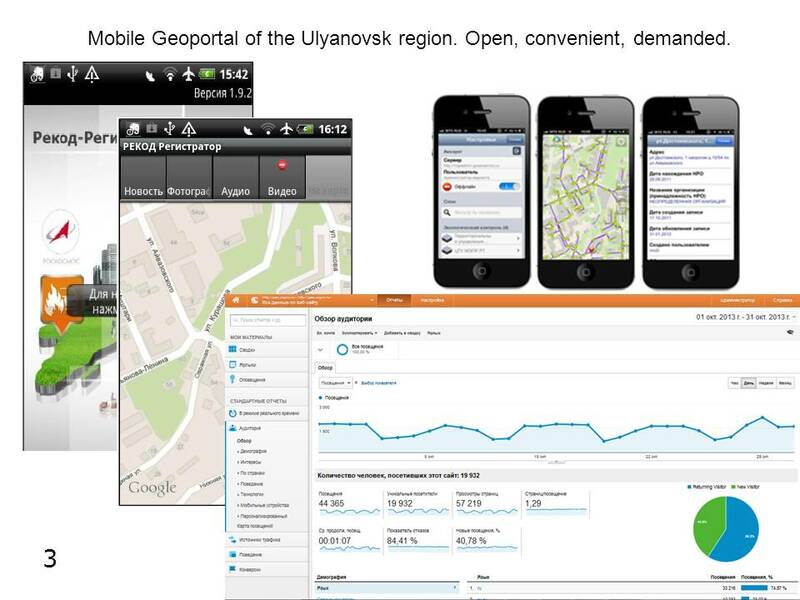 All data are ready-to-use which allows the user not to waste any time on routine processing. 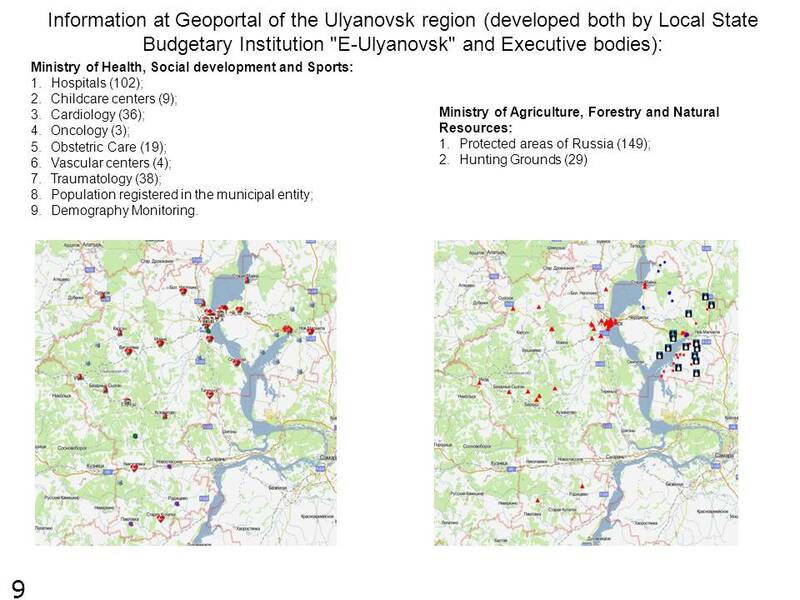 The reports are presented both in the classical text form and as charts, tables and graphics (possible to be attached to certain people). 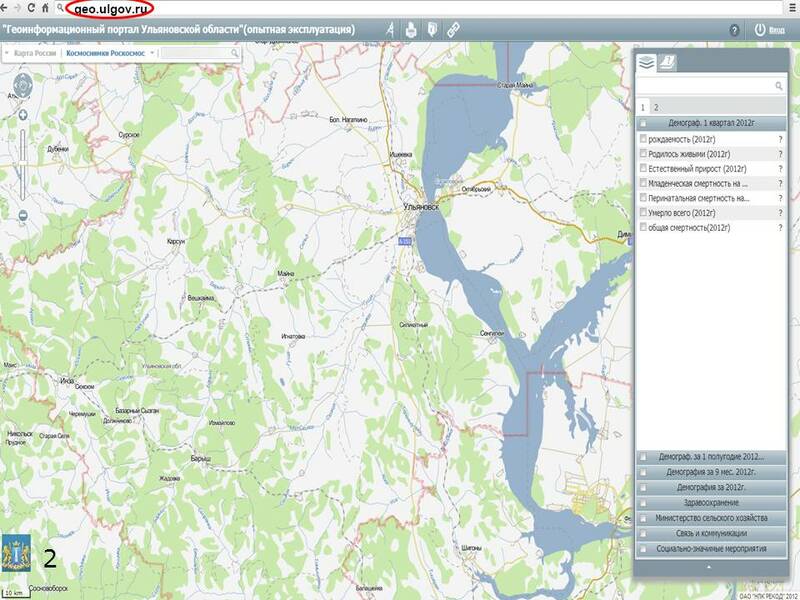 Besides this the program allows to create thematic reports according to the parameters set by user.